You can easily integrate the Office PDF Server printer with your existing print server. Office PDF Server printer works with your existing printers on the print server without any conflict. 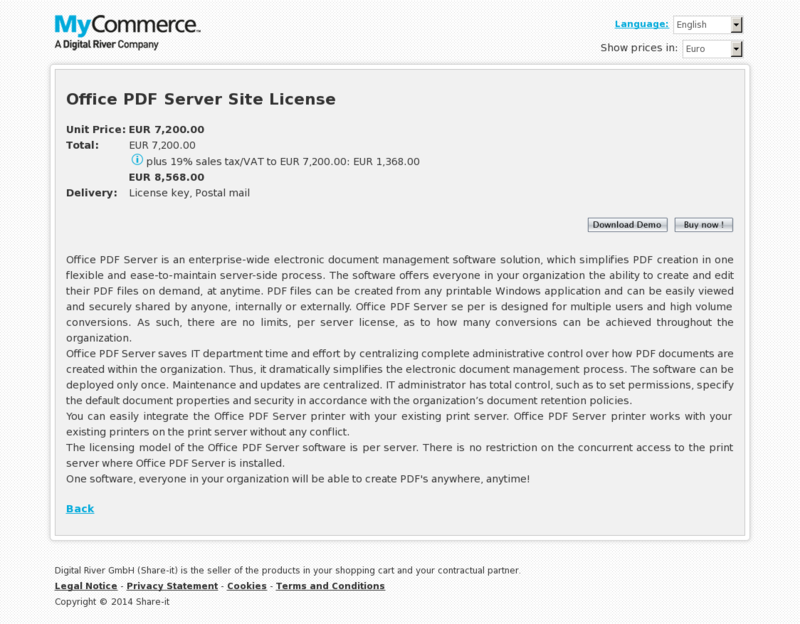 The licensing model of the Office PDF Server software is per server. There is no restriction on the concurrent access to the print server where Office PDF Server is installed. One software, everyone in your organization will be able to create PDF’s anywhere, anytime!